Allow me to take you on this exciting journey of home decoration, where you can be confident you’ve made the right decision. Window furnishings are something you look at and use every day and often not changed for several years. So don’t disregard them with second class quality or ideas. If you’re thinking of renovating, building a new home or just want a change, let us supply and install all your Blinds, Shutters and Curtains. From one window to the whole home or office we will be able to help. 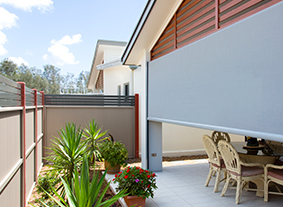 We use local Sunshine Coast manufactures for all of our Curtains and Blinds. Call us today to see the difference. We supply and install a large range of awnings to give you a practical solution to shading those sunny windows or patios. Make the most of your outdoor area. 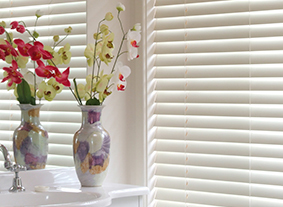 All Darren’s Blinds are manufactured on the Sunshine Coast. Add warmth and texture to your room. Available in a range of colours and styles to match your decor. 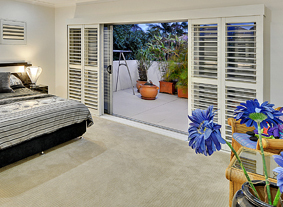 Bring style timeless elegance to your room as well as light control, ventilation and privacy. A popular window dressing available in PVC, Timber and Aluminium. 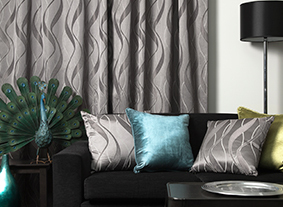 Our curtain options are endless with a range of styles, fabric, colour, patterns and pleating. Curtains are locally made to ensure high quality and quick delivery. “Excellent service and ability to deal with landlords directly. 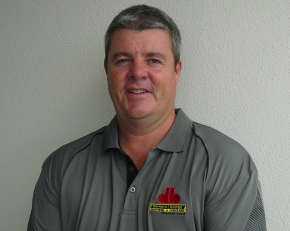 We happily recommend Darren's Blinds to agents, landords, and clients." "The curtains in my home have all been custom-made by Darren's Blinds, Shutters and Curtains, and I love them! ".